See the author’s Cracker-style house, typewriter that produced The Yearling and surrounding citrus grove at Marjorie Kinnan Rawlings Historic State Park. More than six decades after her death, a rusty gate still halfheartedly guards the sandy path to Marjorie Kinnan Rawlings’ rural Central Florida home. Although Rawlings remains best remembered for her 1938 Pulitzer Prize-winning novel The Yearling, the tear-jerking tale of a young boy and his pet deer fails to properly capture the intrepid spirit of its author. Her story is best told by the traditional Cracker-style house and surrounding citrus grove she called home, and writing muse, for most of her life. 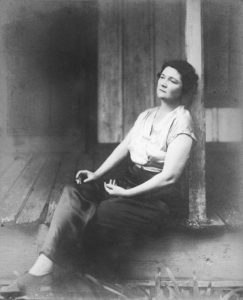 The Marjorie Kinnan Rawlings Historic State Park outside of Gainesville, Florida, preserves her legacy as a writer while simultaneously reintroducing visitors to an independent and complex woman. Born in 1896 to an upper-middle-class Washington, D.C., family, Rawlings discovered her love of writing at a young age. But life took her around the country before she finally found home on the slim patch of woods between Orange and Lochloosa Lakes known to the handful of locals as Cross Creek. In 1928, Rawlings and her husband Charles used a small inheritance from her mother to buy a house and 72 acres of grove land near the creek. Except for the changes Rawlings made, the property looks much the same as it did when she first found it. A canopy of palms open up onto a lawn dotted with orange trees descended from the seeds of her original grove. Chickens wander the grounds. Just past the barn sits the house, built with enough windows and open spaces to make the Florida summers bearable in the days before air-conditioning. Rawlings fell in love with the area almost immediately. “Cross Creek,” she wrote, “offers with it such beauty and grace that once entangled with it, no other place seems possible.” But, her husband Charles didn’t share her feelings and left the creek and Rawlings within their first two years in Florida. As a single woman, Rawlings learned to run a profitable farm while penning her earliest successful short stories at the handmade table on her front porch. Even now, the spot appears as though she just stepped out; her Remington portable typewriter remains ready to work next to a pack of cigarettes and a stack of pencils. One writing success earned her enough extra money to put in a bathroom with the first indoor plumbing system in Cross Creek. To celebrate, Rawlings threw a party. She filled the tub with ice and moonshine (prohibition was well underway), the sink with glasses and shoved a bouquet of roses in the toilet. 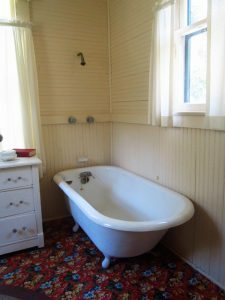 Standing in the red-tiled bathroom, imaging the scene of Marjorie’s plumbing celebration, it’s not hard to understand how she endeared herself to her rural neighbors and the literary world: she must have been an interesting oddity to both groups. A stack of books on her bedroom chiffarobe represent a few of Rawlings’ fellow writers who made the journey to visit her—Margaret Mitchell and Thornton Wilder among them. When Robert Frost visited, he and Rawlings read poetry at her dining room fireplace. All guests could expect expertly prepared meals cooked on the author’s wood-burning stove. 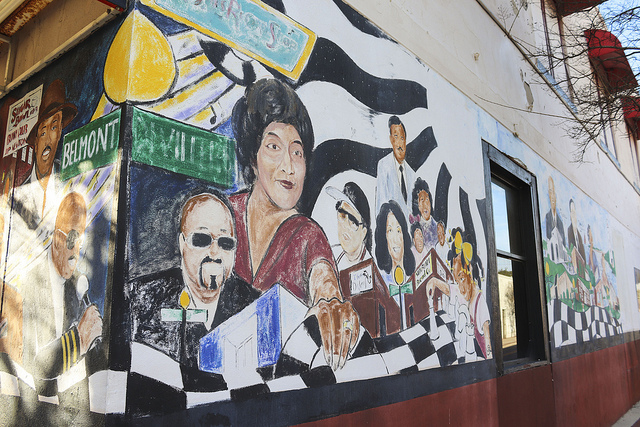 Rawlings wrote so passionately about food, her fans asked that she write a cookbook. The result was Cross Creek Cookery. Today, a group of wood-burning stove enthusiasts gather at the house to recreate dishes from that book. Managing her farm and writing gave Rawlings an agency over her own life that few women of the time possessed, but her forward-thinking stance on gender roles didn’t always translate into her ideas on racial relations. 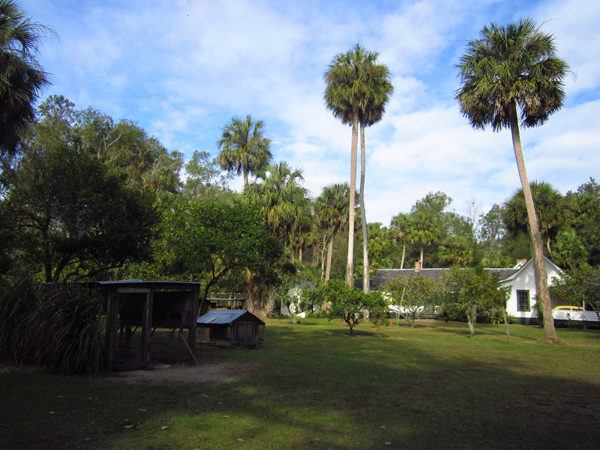 After striking up a friendship with fellow Floridian Zora Neale Hurston, Rawlings entertained Hurston at Cross Creek but forced her to sleep in the shabby tenant house. A restored version of the house acts as a reminder of Rawlings’ segregated world. Adjacent to the tenant house, a walking trail runs to the creek where fishermen guide their boats between the neighboring lakes as they did when Rawlings knew it. 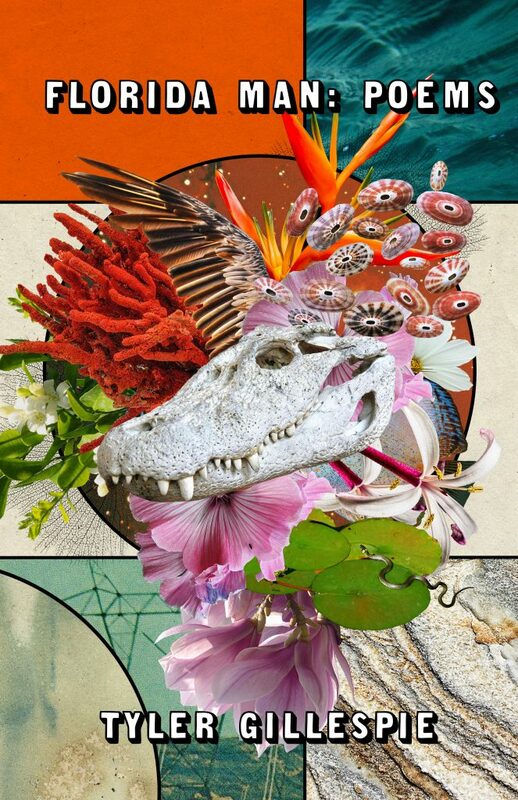 This might please her more than her story being told—that the Spanish moss still drips from the trees and the cranes still wade among the marshes, sharing space with bullfrogs and water moccasins. 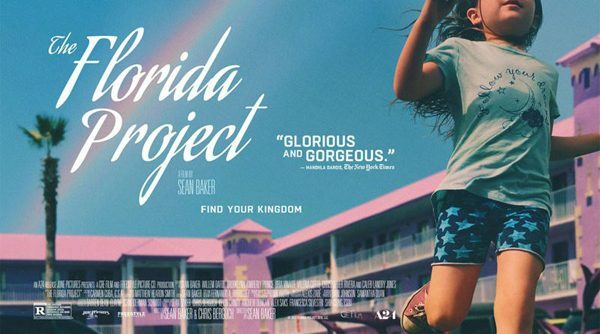 Despite the encroaching world, the creek remains a spot known only to the few who seek it out and listen to its stories of grove-men and alligator hunters and backwater bandits and the author who chose to make her life among them. If You Go: Park grounds are open daily from 9 a.m.-5 p.m. Visitors may walk the grounds and view the structures, garden, trails and groves, but access inside the house is by guided tour only. Guided tours are available from October through July, from Thursday through Sunday at 10 and 11 a.m. and 1, 2, 3 and 4 p.m. Park admission is $3 per group in one vehicle. Guided tours are $3 for adults, $2 for children, ages 6 to12, and children ages 5 and under get in free. Carol Fiddia Laxton will be presenting her reflections on Marjorie Kinnan Rawlings at the barn at the park Saturday, March 3, at 11 a.m. Rawlings stayed with Laxton’s father and grandmother while doing research for her first Florida novel, South Moon Under. Victoria Sanderson is a Floridian who grew up a few miles from the Rawlings house and holds an an MFA in Creative Non-fiction from Oregon State University. 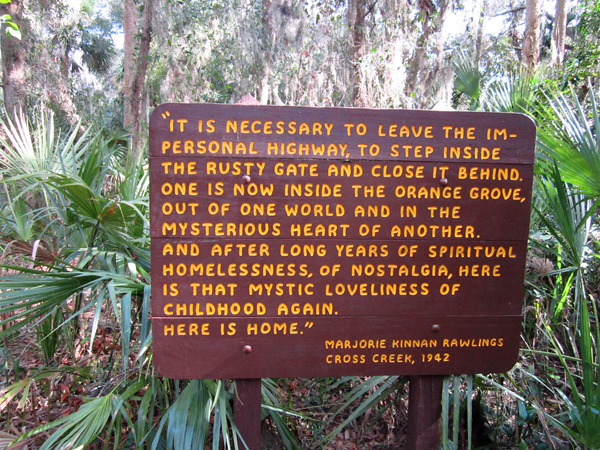 She took the photos for this piece, except for Marjorie Kinnan Rawlings, courtesy of Florida State Parks.